Banjo is a successful standardbred racehorse, whose career was in danger when he was diagnosed with atrial fibrillation by his regular veterinarian in NSW. Initially treated with quinidine, Banjo had an uncommon reaction experiencing a dangerous abnormal heart rhythm. Because of this, the treatment was ceased. 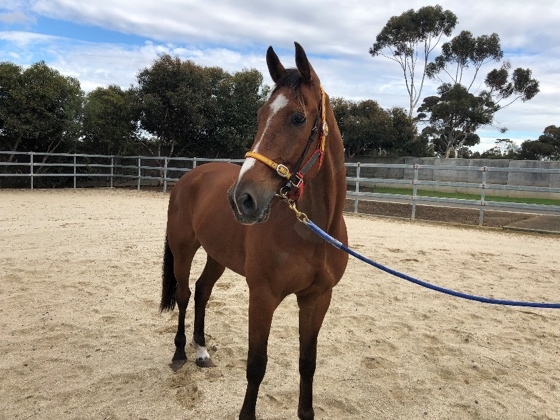 Looking for an alternative to convert Banjo’s heart back to a normal rhythm, his owners transported him from NSW to U-Vet Werribee Equine Centre. 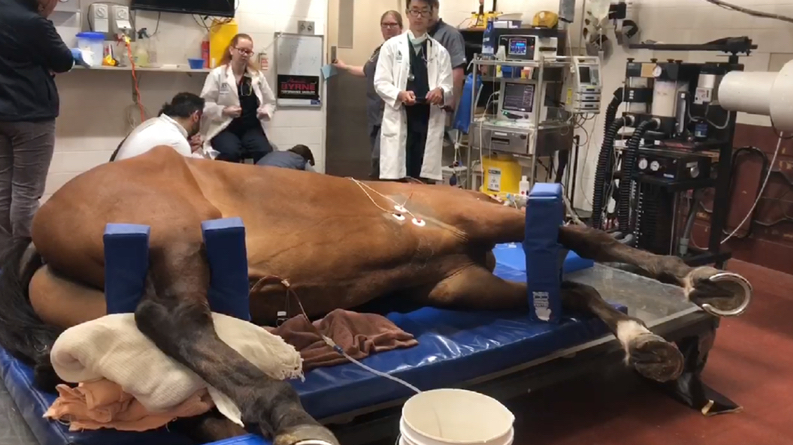 A thorough cardiac evaluation was performed, and Banjo was considered a good candidate for transvenous electrocardioversion (TVEC). For this procedure, electrodes were placed through his jugular vein into and around his heart, then under general anaesthesia electrical shocks were delivered by a defibrillator to “re-set” the electrical conduction in the atria of his heart. This procedure returned Banjo’s heart rhythm back to normal and he recovered uneventfully. After a couple of days resting in the hospital, Banjo journeyed back to NSW to recommence race training.